Mrs Tiggywinkles is a comfortable duplex apartment set over the first and second floors in an exclusive courtyard development in central Windermere. 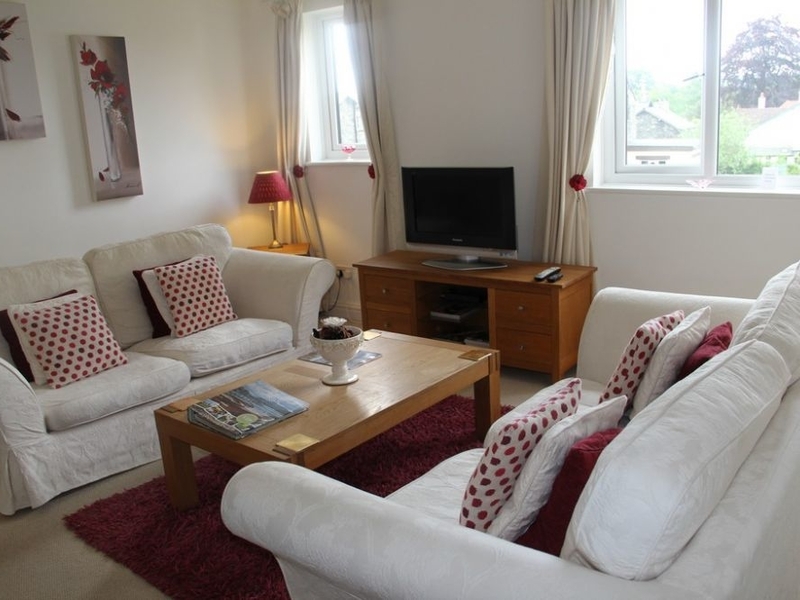 The apartment sleeps 4 in one double bedroom with en-suite shower and one twin bedroom. There's also a spacious family bathroom, lovely and light open plan living and dining room and well equipped modern kitchen. Mrs Tiggywinkles has been finished to a high standard with comfortable contemporary style. There's a courtyard garden with furniture for guests to relax in and off road parking for 1 car. 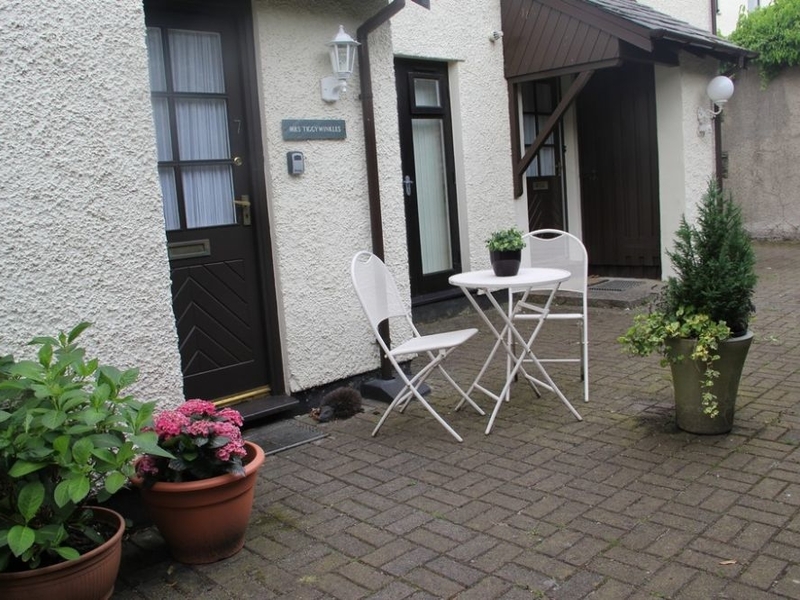 With shops, bars and restaurants virtually on the doorstep plus all the attractions of the Lake District within easy reach, this is an ideal base for an older family - the apartment is not suitable for children under 12 - or a couple who are looking for a romantic getaway at any time of year. Nevo Rointe electric central heating system. Gas oven and hob, microwave, fridge/freezer, dishwasher, TV, DVD, WiFi. Fuel and power inc. in rent. Bed linen and towels provided. Off road parking for 1 car. Shared courtyard garden with furniture. Sorry, no pets and no smoking. Shops, pubs and restaurants 2 mins walk. Lake Windermere cruises 15 mins walk. Launderette 50 yards. Note: The apartment is not suitable for children under 12 years old.